A few pictures i found on Rotorburn, no official word yet, just a few pictures and small descriptions. Ill let the pics do the talking. too bad 34mm isnt available to 26ers. i think it would be a nice compromise for someone like me who wants longer travel but doesnt need the heft of a 36.
funny how the new shocks bear a very similar resemblence to the shocks suntour has been putting out. 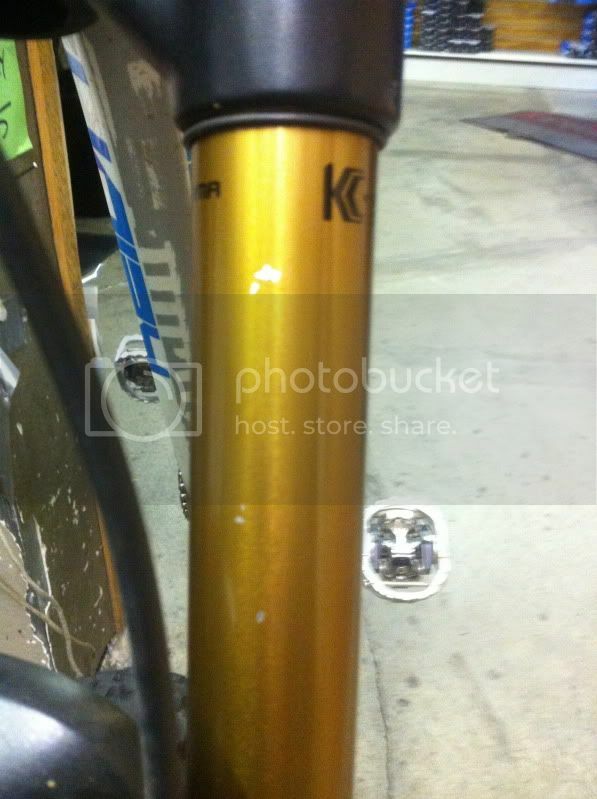 Seen that Kashima coating come off on certain forks. Not a fan. Interesting...especially since its impregnated within the metal and not coated on it which means that you would have also seen the stanchion disintegrating . . . So those are the latest "not-really-a-true-oil-seal-with-a-snap-ring", sweet! Oh yeah !!! Kashima coating iz th *****e!!! wonder can we get some Kashima coated condemz....??? "Why are you willing to take so much & leave others in need...just because you can?" that might say more about your dakine pad than the kashima. i have kashima but i haven't ridden it enough to judge. 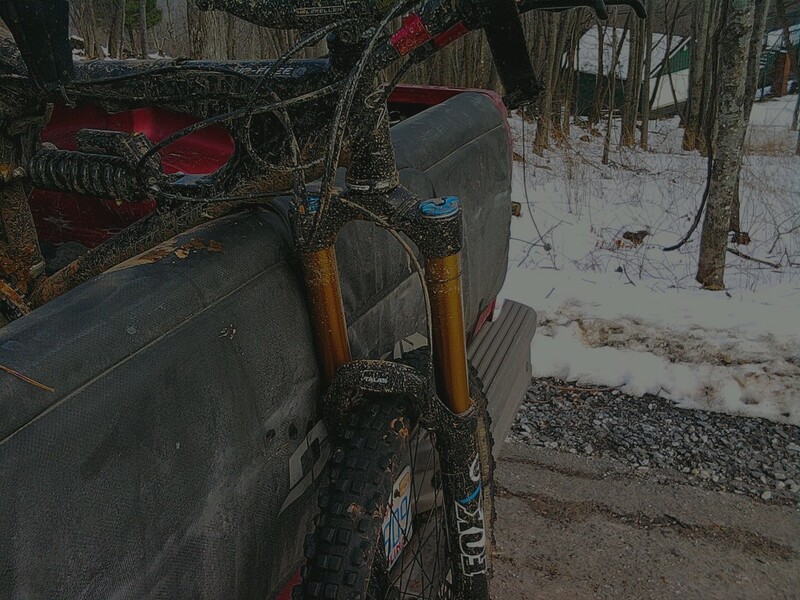 All I'm saying is my buddy sent his fork back due to some stanchion issues, and it was the Kashima coating that was rubbing right off the stanchion. Don't roll your eyes at me, son. Anybody with photo evidence of the damage to the Kashima coat or flaking? Its not that I dont believe you guys, I am just curious to see this. Is it like the black coating on the manitou travis when it wears off? sir, i say sir, i doubt your credibility, sir. only people who lie and have something to hide wear fake moustaches. I've seen it on the Kowa fork (peeling or flaking)...will try to get a pic of it. he can have her. she limits me to 2 bikes. flake?? not sure.. bike/fork sold now.. but it was like that for a while with no problems..
Can you describe how it looks? Is it a small patch of little white specs where you can see through the kash?? 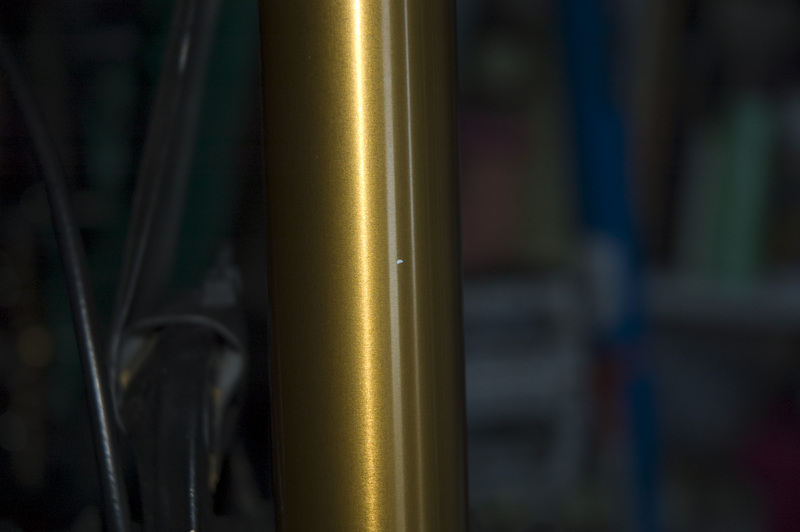 Kashima coating is a bit misleading nomanclature, it is actually impregnated into the metal, i believe. Dakine padz will rub th powder coating/anadozation off of lowers w/o batting an eye but it has yet to make a scratch on my stantionz. Maybe I misspoke then, as the "coating" isn't really a coating and can't really rub off. It was simply worn down. Like some of the stanchions on my old Shermann forks back in the day if some sort of crud got stuck in the seals and started to ever-so-slightly wear off the coating on the outside of the fork. Sorry for any confusion there, folks. Saturnine... my mustache is on the real. Don't deny that you like it. yeah, $70 for a moustache ride is a little much. i know the economy is **** and your worthless american greenback somehow creates inflation, but come on! Last edited by Deerhill; 04-23-2011 at 02:47 PM. To his discredit, I also know the scumbag with the fork and can say without a doubt that he has probably put more miles on that thing than most anyone. It's like finding a wife. Personality is important, but you gotta look at that face every morning. So how much did you pay for that fork? I would be pissed right about now. Hopefully Fox takes care of you. I paid a Pretty penny and ya its a 2012.. needless to say a little t-'d off... but i'll wait and see what they say. On a side note it did not cause any leaking or performance issues..
Last edited by J-Ha; 12-15-2011 at 06:30 PM. I love Fox forks, and have used them for years now.... but that new fork is one of the UGLIEST I've ever seen in my entire life. I mean I know it's about function and not all about looks, but gosh... that thing looks disgusting. I guess a fancy, up-charge coating is how fox has to deal with more complicated valving? Seems like snake oil to me. Mybe if they just used open oil bath designs.... it'd be a lot better. You in Oklahoma City? If yes, come ride with us. That was my original thinking too. 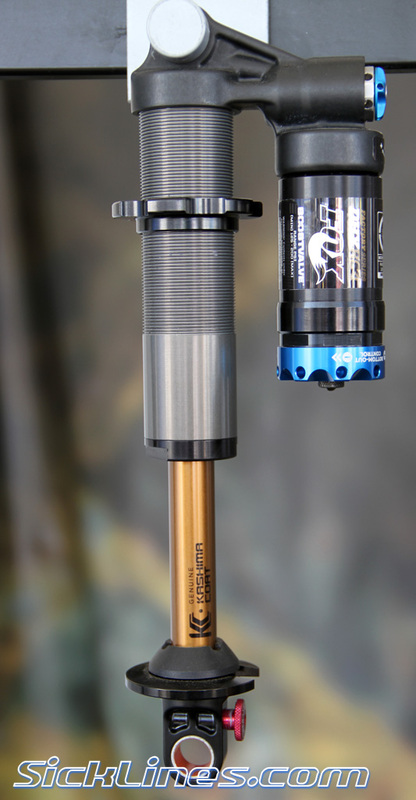 I did demo a nice Ibis Mojo HD with the kashima shock and I cant say I noticed any real substantial difference between it and my RP23 on my Yeti, but I wasn't really trying to notice a difference I guess. Just ride! My point exactly. If I need a latest greatest coating to make my $1k fork feel smooth(er) than I'm going to start looking elsewhere. When a 55RC3 Ti can be picked up for less than half and is comparable in weight I'm seriously thinking of not having a Fox on my trail bike.